Brilliant! 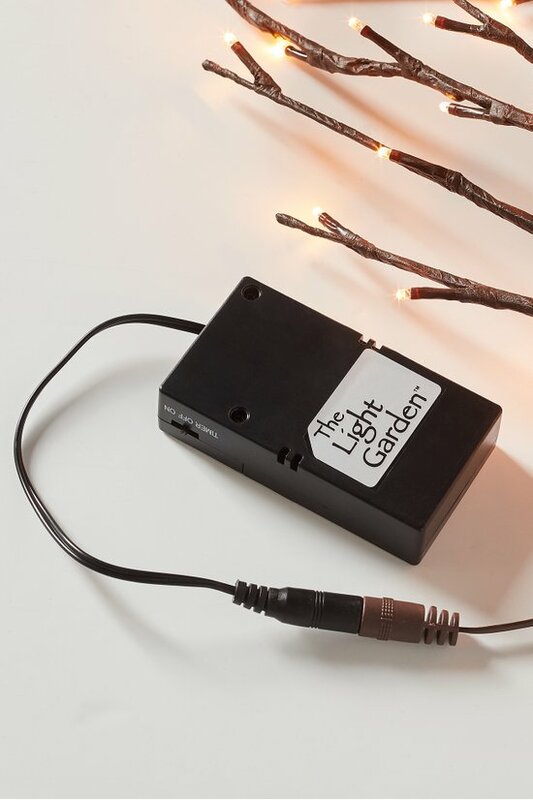 Lighted branch battery converter (small). Expand your decorating options with a simple switch of power source. Swap the removable plug of your 20" lighted branch (08950 birch; 08951 willow) for this small battery converter box so your design ideas can illuminate beyond an outlet's reach.